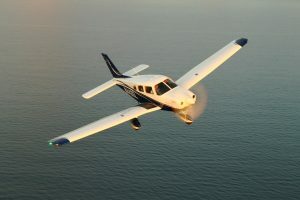 You’ve definitely mulled over the idea of owning a small aircraft; pretty much every pilot has. If you need more reasons to tip you over the edge, or at least to feel less guilty about it, this article is for you. Warning! After reading this, you might feel compelled to start shopping for an airplane. And at Norfolk Aviation, we can help! Scroll through our incredibly inventory and contact us. The world opens up when you own an aircraft, because you can get everywhere you need to be (or WANT to be) much faster than with commercial flying. Even a little turboprop will have you to your destination in a fraction of the time. Owning your own plan means you get more time to enjoy life, because you’re able to spend way less time getting there. Though any pilot can rent an airplane, it isn’t really convenient unless you have a standing agreement. 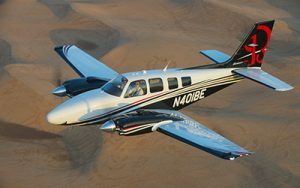 Even then, you can’t always have the plane you want when you want it, because it’s a rental. Just like renting a car, you have to take whatever they have available. When you own the plane, you can decide to go for a flight anytime it strikes your fancy: take a last-minute vacation, be present for family gatherings, take the kids on an impromptu adventure and go where you want to go because you can. The world of aviation is a wonderful place, full of passionate people. This world becomes more exciting when you own your own plane. You’re no longer sitting on the side-lines; you’re a full-on participant. You become one with your aircraft by keeping it tuned and primed. Instead of merely taking to the skies, the experience becomes an adventure. You’ll experience all of the thrills and joys that come along with maintaining and operation your own aircraft. Let’s be honest.. The VIEW! If you fly commercial airlines, your view is limited and just about the same every time. But when you have your own small aircraft, you can fly over unique geological features, beautiful lakes and land in obscure destinations that are inaccessible by car. Since you’ll probably be flying much lower than the average commercial jet, you’ll also get a bird’s-eye view of our beautiful planet, plus the freedom to see and explore where you want… when you want. Once you have your own plane, you can skip the commercial airport—unless, that is, you’re landing there in your own plane! You wont have to deal with cranky flight attendants, gross airline food, there will be no more crowded concourses and no more baggage-check fees. Sure, you’ll have your own set of regulations to follow, but they are far less burdensome when you’re traveling on your own terms. One benefit we didn’t mention above is the potential to write off a lot of the plane’s operating expenses on your taxes. If you regularly fly for business, then owning your own airplane can be a fulfilling decision, as well as a financially rewarding one. For some people, owning an airplane is practical; for others, it’s about fulfilling a life-long dream. Whatever your motivations are, Norfolk Aviation can help you find the perfect aircraft that fits your needs. Our full-time sales team is knowledgeable and dedicated to making your aircraft buying experience a breeze. Take a look at our inventory to see all of the sharp and well-maintained used aircraft we have available or call us today at 757-724-6047 to find out why Norfolk Aviation is Your Trusted Name in Aviation.